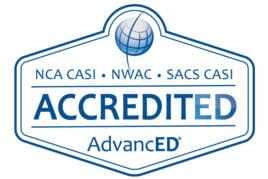 UCAN Academy, comprised of two campuses across Chicago, is an innovative 1st through 12th grade year-round therapeutic day school. A special education curriculum is used by experienced staff to help students who have experienced difficulties in previous school settings and who benefit from a smaller, more individualized classroom setting. As the largest and one of the most recognized therapeutic day schools in the area, each child enrolled in UCAN Academy comes to us with a unique set of needs. We use a staff-intense environment for more one-on-one attention. Our students, while coming from diverse and distinct backgrounds, have all experienced difficulties in public or private school settings. Many have become discouraged about learning. We help them to see schooling in a positive light and to reach their highest potential. 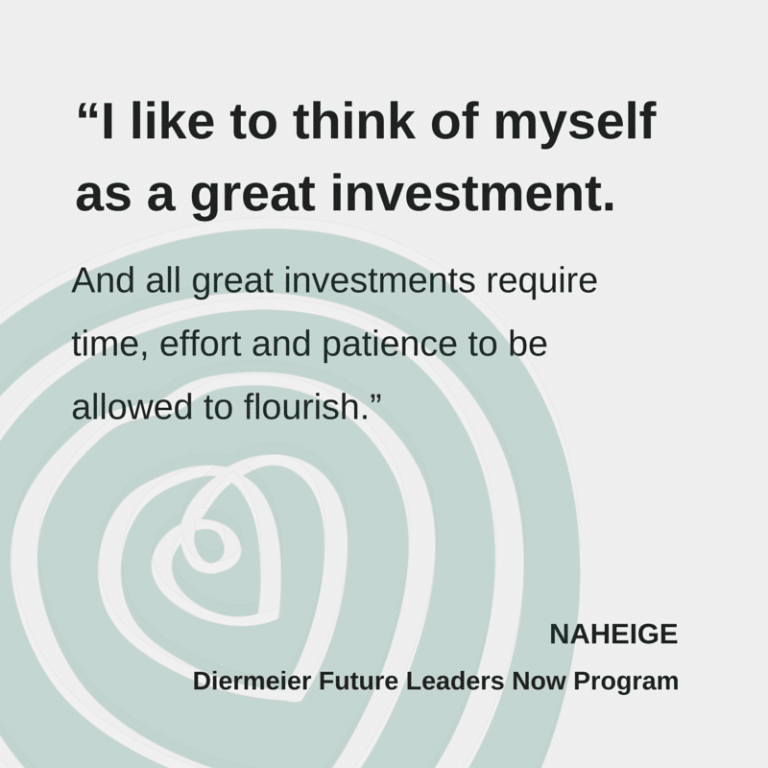 The Diermeier Future Leaders Now program includes 25 hours of interactive leadership development, including community service, job readiness training & exposure outings, all facilitated with a Positive Youth Development Approach. Staff members adapt the curriculum to youth needs while making sure the four cornerstones and 15 leadership principles are not compromised. The program is possible thanks to generous funding from the Diermeier Family Foundation. Jeff and Julie Diermeier have been committed to UCAN youth for many years, serving as members of UCAN’s President’s Board funding critical programming, and devoting time to UCAN youth and staff. For more information on Diermeier Future Leaders Now, please contact Adreiona Fox at Adreiona.Fox@UCANchicago.org. UCAN’s Career Services is a component of our FamilyWorks program that works with Chicago Housing Authority residents to help families achieve economic and social self-sufficiency. Career Services’ goal is to offer participants the knowledge, skills and confidence to become successful in the workplace by inspiring, motivating and educating clients to pursue a career path, whether or not they are currently in school. Utilizing career interest inventories and workforce assessments, staff are able to assist participants in identifying their strengths and goals so they are able to make an informed decision while pursuing employment opportunities. After participating in training, UCAN’s employment assistance helps match participants to a variety of employers in various communities. UCAN develops partnerships with key employers and service providers that help to make employment a reality. Once participants are placed, our employment retention services help clients maintain their jobs. Ongoing activities and workshops continue to increase participants’ skills and knowledge so that they not only remain on the job, but increase their opportunities for growth and promotion. For more information about Career Services, please contact us at (773) 309-6040 and ask for a Career Services staff person. UCAN partners with both the Chicago Housing Authority (CHA) and Department of Family & Support Service’s (DFSS) to provide summer employment opportunities for youth ages, 16 -24. We place more than 300 youth in viable summer employment opportunities. Our summer programs provide youth with a subsidized paid work experience that allows them to gain valuable work experiences, build positive peer relationships and become effective leaders among their own peer group. Youth are placed in multiple work environments across the City of Chicago and the northwest suburbs. Selected employers provide an on-site learning experience for these youth. UCAN also places youth within our own program and administrative offices to offer additional opportunities. In addition, youth follow an education/learning plan by spending four hours in classroom instruction and the remainder of their week on-site in their work environment. At the end of the summer, many youth are able to transition into permanent employment while others are eligible for UCAN’s year-round workforce program (UCAN Connects). WIOA is a federal program funded through the U.S. Department of Labor and the State of Illinois Department of Commerce and Economic Opportunity. It is the main source of federal funds for workforce development activities throughout the nation. The program provides a year round employment program to “Opportunity Youth” ages 18 -24 who are disconnected from school or work. This program provides comprehensive services that result in out-of-school youth achieving academic and employment success. Serving approximately 40 youth, UCAN Connects places youth in permanent employment, post-secondary education, certified and apprenticeship programs. For more information, please contact Keisha Norris at Keisha.Norris@ucanchicago.org. The Summer Jobs and Beyond program is centered on the belief that employment is the key to both short-term stability and long-term success for youth. The program focuses on preparing youth and connecting them to permanent, unsubsidized employment. Youth will begin their experience through participation in a summer employment opportunity and then participate in an extended, highly structured subsidized work experience that includes a training plan and intensive on-site communication between the agency staff, youth and employer. While the program focuses on immediate employment to address the most urgent needs of the youth, it also assists them in developing an understanding of the relationship between secondary and post-secondary credentials with improved employment and wage outcomes. The program will connect youth to high school, GED preparation, and/or occupational and employer-based training as needed, and provide a wide range of supportive services. During the retention phase, youth will participate in additional career exploration events, social activities, advanced financial literacy/capability workshops, and group celebrations of accomplishments. Youth will also receive on-going individualized coaching and assistance with re-employment if needed. For more information, please contact Ladon Brumfield at (773)309-6040 or ladon.brumfield@ucanchicago.org. 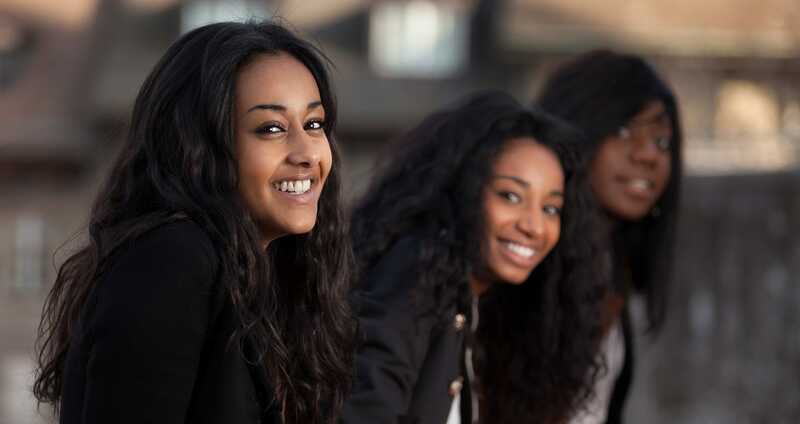 Transitional Teen Services (TTS) works exclusively with older youth in DCFS care to provide the services and support necessary to successfully launch these youth into independent adulthood. In its continuum of services, TTS manages four complementary programs. UCAN’s Transitional Living Program (TLP) is active in ten locations that serve youth between the ages of 17 ½ – 21 who are under the care of the Illinois Department of Children and Family Services. The program assists youth in a supervised and structured setting to enhance their skills in developing healthy, supportive relationships and reaching self-sufficiency. Individualized services are provided to assist young adults with gaining the skills needed to become educated, empowered and able to sustain themselves financially and emotionally prior to or at emancipation from DCFS. For more information, please contact Margarita Cordon at (708)201-3003 or margarita.cordon@ucanchicago.org. The Independent Living Arrangements program (ILA) is designed to be a youth’s final placement in the child welfare continuum. The program provides clients 19½ or older with the skills, support and resources necessary for emancipation from DCFS care. The focus is on teaching our clients concrete skills such as money management, household management, health, legal rights, housing, educational/vocational skills, personal responsibility, and social responsibility. We work to help clients enhance and develop new and existing social support systems, and to promote educational and vocational training to maximize a client’s potential to be financially independent at or before emancipation. UCAN’s ILA clients have minimal supervision, meeting with their case workers weekly. Case workers and emancipation specialists assist clients with budgeting, organization, and other life struggles the youth may be experiencing. They also focus on making sure youth are successfully completing school, finding employment resources, and are staying connected to their communities and families. ILA clients work with housing coordinators who offer assistance and guidance when planning for future housing; thereby reducing the risk of future homelessness. For more information, please contact Margarita Cordon at (708) 201-3003 or margarita.cordon@ucanchicago.org. UCAN’s Alumni Services Program (ASP) is an innovative, voluntary program that offers additional support to young adults who have emancipated from the child welfare system. ASP provides short-term case management services utilizing a team of professionals that includes a case manager, housing coordinator, employment specialist, and an emancipation specialist. ASP assists young adults in securing safe and affordable housing, preparing for and gaining stable employment, accessing dependable child care, addressing emotional issues through counseling, support and referrals for substance abuse treatment, and learning life skills. A key component is teaching young adults how to independently identify and access community resources in the future. For more information, please contact Prestina Singleton at Prestina.Singleton@ucanchicago.org or at 773-290-5811. UCAN’s Educational Support Program focuses on engaging DCFS youth ages 12-21 who have demonstrated social and emotional behaviors which are impacting their academic and employment progress. Through the building of trusting and consistent relationships, UCAN will engage youth in activities that will build confidence in relationships, provide youth with goal-oriented tasks and promote the importance of education, vocation, employment, life skills and building healthy positive social supports. For more information, please contact Nichelle Simmons at (773) 290-5888 or Nichelle.Simmons@ucanchicago.org.